Are you a crafter or artist with pack-rat tendencies? Now is the time to come clean, and clean up! 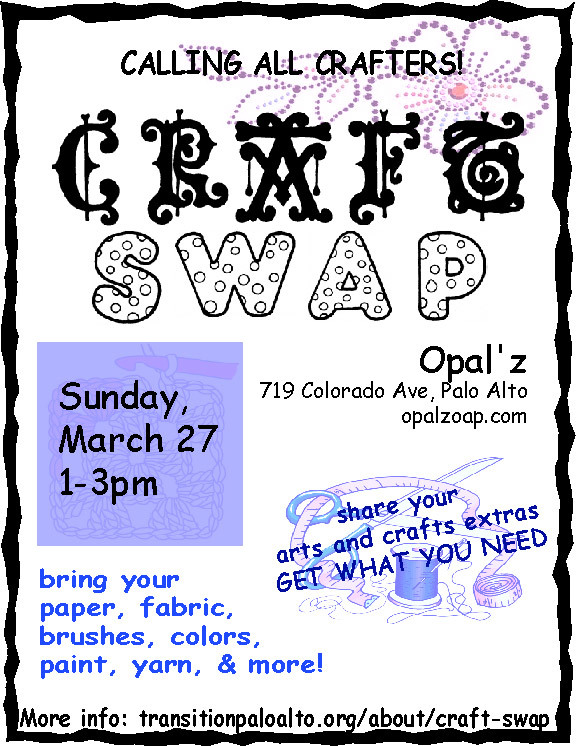 One person’s trash is another’s treasure, so help reduce waste and share with your neighbors at the 2nd ever Craft Swap. For details about what to bring and how it works, click here. Let us know what you’re bringing by emailing rani at b a c r a f t s w a p (at) g m a i l (dot) c o m.
This entry was posted in Craft, Events, Local by promiserani. Bookmark the permalink.